Romina Sylvia Achatz studied film-, theatre- and mediatheory in Vienna and Rome with a specialization in philosophy and literature. She also studied film in Prag and at the Kubelka Film School in Vienna. Her main interest is ‘The Politics of the body‘ from various perspectives- with a special focus on Italian and Japanese avant- garde. During her scholarship at the ‘Roma Tre University-Filosofia Comunicazione e Spettacolo’, she wrote about ‚The bodies of politics in the work of Pier Paolo Pasolini’. In Austria she was part of a PhD research group at The University of Art in Linz at the department of applied cultural studies and worked there as a lector. 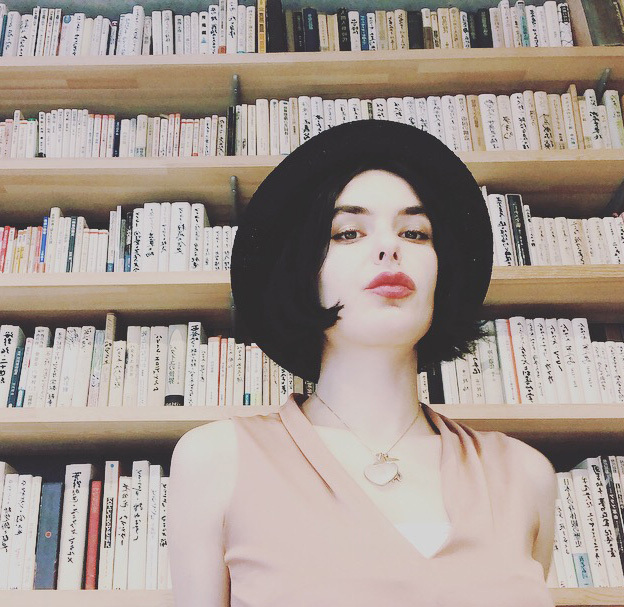 2017 she moved to Tokyo to research in the Ko Murobushi Archive, where she finished her PhD thesis named ”The breath of the Impersonal: De- subjectivation and the thought of the Outside within the dance of Ko Murobushi.” Since December 2017 she produces her own radio show called ‘FEM*POEM’ to which she invites philosophers, poets and writers. She works mainly as a writer, lector, performer and filmmaker.